In the Halls of the KingThe eternal battle of good against evil is a recurring universal theme in the history of mankind, spanning the most diverse forms of art throughout the centuries. Frequently, these concepts have been marked by clichéd thought patterns, but the thin line between light and darkness is rarely easy to define or recognise. "Tales Of Ithiria" is Haggard's very own saga about this eternal battle and takes place in the fantastic world of "Ithiria". The album sees the German classic metal act leave the path of human history for the first time since they got together in 1991 to devote themselves to the realm of fantasy. A reorientation and reclamation of virgin soil which doesn't come as a total surprise, seeing that all the great authors of the fantasy genre have a history background, finding their inspiration in mankind's real past. And for Asis Nasseri, creative mastermind of this sizeable chamber orchestra which has come together under the name of Haggard, the journey into fictitious spheres is an expansion of his own horizons which allows plenty of room for new possibilities. "I have to admit that I left the field of real history with a heavy heart," he recalls the early days of his work on "Tales Of Ithiria". "I'm very interested in history, and there was a variety of themes that I would like to have written about – but this history thing has become almost normal for Haggard, and I consciously wanted to leave that familiar path." The creator of the legendary country of "Ithiria" saw himself faced with totally new challenges: "I found it much easier to set to music authentic subject matter, such as Nostradamus and Galilei. But I discovered that I am twice as critical if I have to listen to my own story, supported by my own music: does the music suit the scene, is everything consistent in itself?" And so in the last four years, Haggard focussed all their energies on creating a unique opus which on the one hand features the ingenious signature of their past three recordings and sparkles with new energy at the same time. A project which took many months to complete and a lot of work in terms of composition and coordination, but at the end of the day the result consists of eleven amazing tracks which are full of Haggard's sublimeness, emotiveness and awesome metallic gravity. A masterpiece which not only explores the boundaries between good and evil, but also puts the concept of classical music and metal into a whole new perspective, adding a visionary dimension. Again, Asis' earthy grunts are blended with classical female and male voices, carried by a majestic orchestra and traditional rock instrumentations consisting of lush drums, a humming bass and driving e-guitars. This vocal diversity is expanded even further by drummer Mike Terrana, renowned on the rock music scene for his work with Rage, Yngwie Malmsteen and Tarja Turunen, who lent his sonorous and expressive voice to the epic tales of Ithiria. Expressive multi-faceted music, excellent songwriting between complexity and sensitive melodic arches and harmonious arrangements have always been among Haggard's strengths and have reached truly fantastic new levels on "Tales Of Ithiria". So it should come as no surprise when the melancholy legend "Hijo De La Luna" from Iberia shines in a sensitive and at the same time dark metallic outfit, emphasised by operatic magic, in line with the traditional songs which Haggard have recorded in the past, such as the old Swedish ballad "Herr Mannelig". And once more this experiment blends harmoniously into Haggard's sonic realm, into a dreamy cosmos full of enigmatic characters, such as Edris, Hammar, Sveldja, Wiese, Grimmbart and Alar, who battle over virtues such as courage, gallantry, honour, mercy and tolerance. So enter the halls of the king and allow yourselves to be enchanted by the stories of Ithiria! Sound Storm was founded in 2002 in Turin, a city in the north west of Italy.The band started composing their own material, with the first three or four tracks finished by the end of 2003. 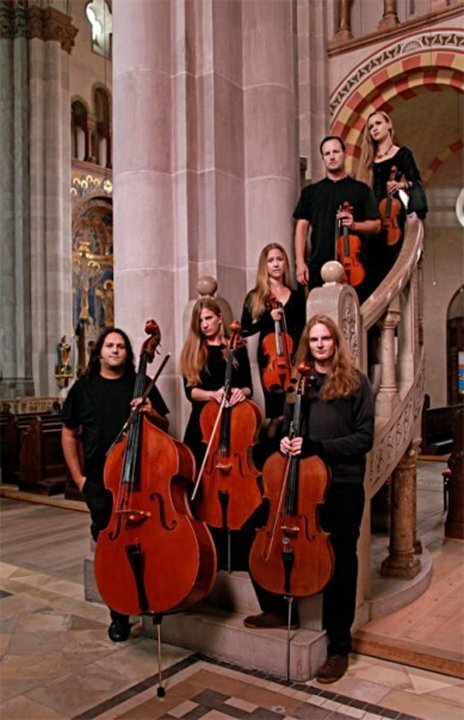 After two self-released titles ("The Storm is coming..." - Demo, 2005 - and "Northern Wilderness" - EP, 2007 -), in 2008 the band releases the debut album “Twilight Opera” which has got an incredible high quality production, strings section, a 9-pieces choir. The album has been mastered at Finnvox Studios by Mika Jussila and released worldwide by Rising Records (UK). In summer 2010 Sound Storm toured Mexico for the first time: the band played 11 gigs across the country getting and incredible success and many hundreds people were attending each show. In 2012 Sound Storm have signed a worldwide deal with Scarlet Records for the release of their new album 'Immortalia'. This new chapter marks another important milestone for the band, mixing their wide range of influences in a piece of work perfectly balanced between powerful guitars, magnificent symphonic choirs, gothic atmospheres and baroque melodies, which is definitely worth listening to. Recorded, mixed and mastered at Metal House Studio by Ettore Rigotti (Disarmonia Mundi), 'Immortalia' is a stunning concept album on the quest for eternal life, an amazing journey through literature, poetry and history, a collection of songs linked together by the common theme of the immortality of the soul. The evocative artwork was handled by Felipe Machado Franco (Blind Guardian, Rhapsody Of Fire). 'Immortalia' has been released August 28th, 2012. Shortly after the band supported Norwegian Gothic Metal veterans Tristania on their European tour. 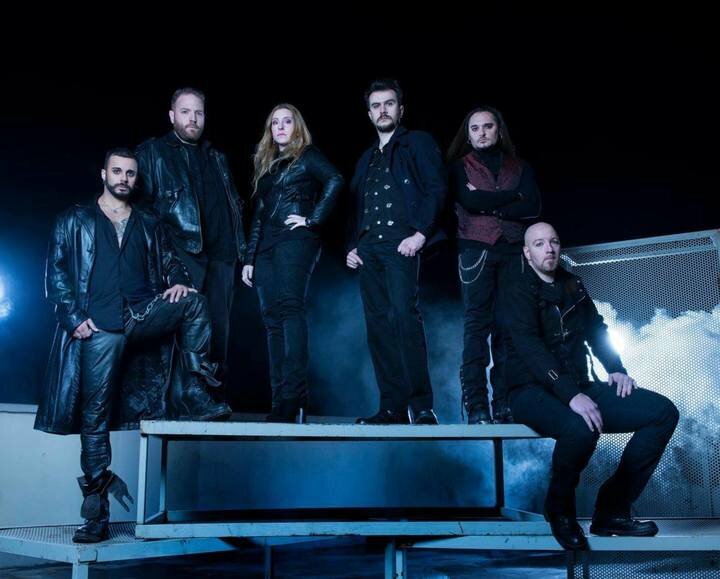 At the end of 2012 Sound Storm also toured Italy with Epica and Haggard. The "Immortalia tour" goes on also in 2013, first with some headlining shows across Italy, then with some international festivals and at the end of the year on tour over Europe again. The "Rock Opera Unveiled" tour took place in December of 2013 featuring Therion, Arkona, Sound Storm and The Devil and hit the best stages all over Europe, including the "Eindhoven Metal Meeting" festival. Between 2014 and 2015 Sound Storm got on another European tour with the German Metal Orchestra Haggard: The “Symphonic Autumn/Winter Blast” tour and the “Dragonfest” tour, kicking off in Germany, Italy, Switzerland, Czech Republic, Slovakia for a total of 15 shows across the best european clubs. After several line-up changes between 2014 and 2015, the band eventually found a top-quality team by recruiting Elena Crolle on keyboards, Alessandro Bissa (Vision Divine, Labyrinth) on drums, Sascha Blackice on the rhythm guitar (new addition!) and Fabio Privitera (actor) as lead singer. “Vertigo” is the new project of the band, created by an extra purpose than the “simple” music. UNSHINE has always been a band without the traditional role models. For us, the most important thing in a song is the melody. Sounds and rhythms create the overall atmosphere, but the melody wakes up the whole ancient story in it to life,” tells Harri, UNSHINE guitarist behind the major part of the songs.